Choose coin and press start. My Custom Miner is the only mining software in the world that allows you to mine any currency with instant payments and increasing performance up to 50% compared to other software. 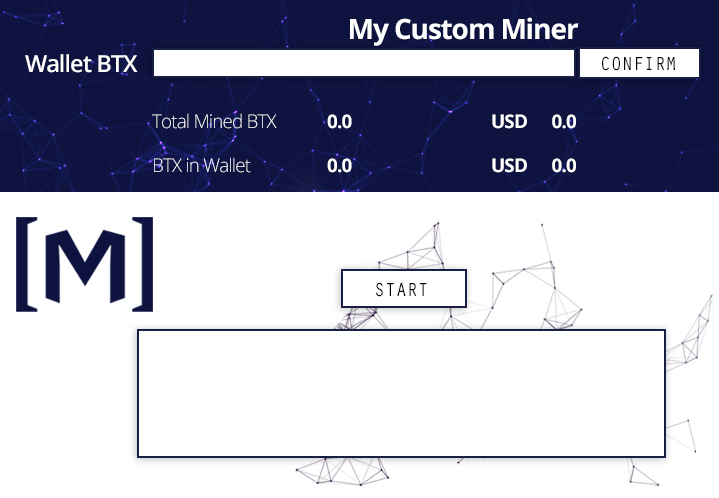 We have the software prepared for the main coins, if you want to mine any other you just have to tell us and we customize the software for you. We optimize any coin mining over other existing software. Improving the mine pools and characteristics of your equipment will make the performance increase up to 50%. Unlike other mining softwares that pays you when you accumulate a number of coins with My Custom Miner your coins are always on your pc avoiding risks of hacking or other arising problems. Try 30 days free-trial My Custom Miner for Windows . After only 15 euros per month. You will get the software in your email.